Welcome to Lilafken. A Bungalaws and hostel recint located only one block away from Infiernillos Beach and one block from a Supermarket and liquorstore, plus the fast food truck righ in the corner of our street. Downtown only 10 minutes walking! We are 7 block away from the bus terminal. 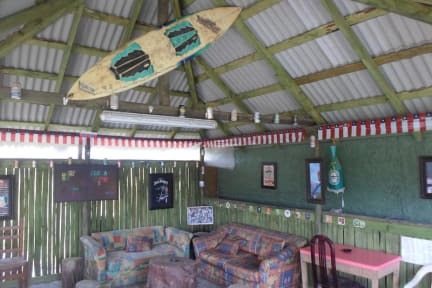 We are a new concept of accommodation in Pichilemu. We mix all the privacy that an apartment can give you with the friendly and social environment of a property. We count with 7 different private apartments or bungalows, each one has its own kitchen, bathroom, microwave, fridge, bed clothes and TV. We have a big parking land and chilling area.